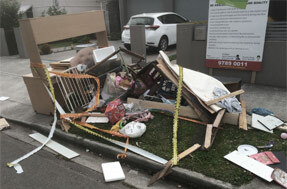 Cheap Parramatta Junk Removal Service. With the city of Parramatta’s fast growing population of over 236,000, it’s easy to understand how efficiently disposing of junk is such an important issue. Having effective waste removal and recycling industries in place will only become more important as time passes, with Parramatta’s population forecast to continue growing, reaching almost 400,000 residents by the year 2036. For your household or business, effectively disposing of garbage is a real issue, particularly with the small curb side bins provided by council. Oftentimes there will simply be too much trash to fit in the bin, or you might have large bulky items, such as old mattresses, white goods, appliances, lounges and other unwanted items which simply will not fit in your wheelie waste bin. With the majority of Parramatta’s residents not having easy access to a trailer, or simply not having hours and hours of time to burn going to and from the rubbish tip, there’s got to be a better way. Enter Same-Day Rubbish Removal. 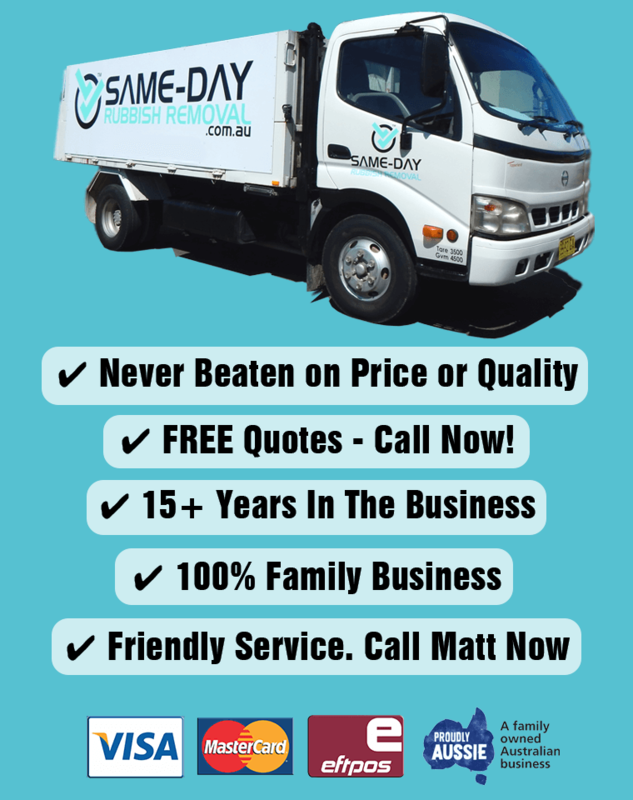 Here at Same-Day Rubbish Removal we provide ourselves in delivering the lowest prices along with prompt friendly service to all Parramatta areas. When you consider the significant time it would take hand-loading all your junk into a trailer and going to and from the waste recycling centre, paying tip fees, fuel etc, you might just be surprised at how affordable our rubbish removal services are. OK, so you service Parramatta, and offer very affordable waste removal, are there any other reasons for you to pick up the phone and call now? How about the fact that we do all the hard work for you!? Who wants to spend all day busting their guts out loading heavy junk into a trailer or skip bin? The smart option is to call Same-Day Rubbish Removal now. It’s this simple. Our experienced team will be happy to take your call and provide a free waste removal quote for your Parramatta property. Once you give us the go ahead, we’ll arrange a convenient time. We then hand-load all your junk and unwanted items into our trucks for prompt removal and recycling, all you have to do is point! Your rubbish will be gone in no time for an affordable price, so you can get on with your life. What are you waiting for? 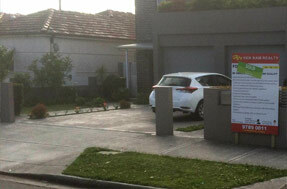 We are able to offer same-day junk removals from Parramatta in most situations. Call now for a free quote.